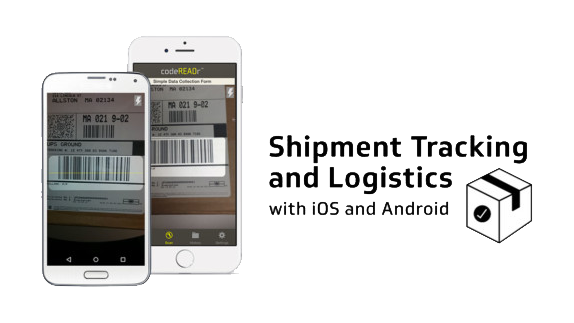 Shipment Tracking App for Android and iOS - Improved! Now, with codeREADr, you can re-size the effective decoding frame on iOS and Android devices. 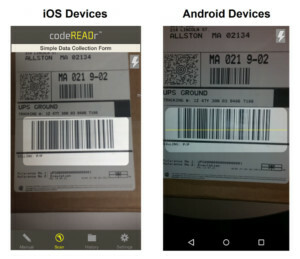 This means you can selectively scan a targeted barcode among many other barcodes within the camera view. In addition to re-sizing, remember that you should only select the barcode types you plan on scanning. In that way, scanning is faster. 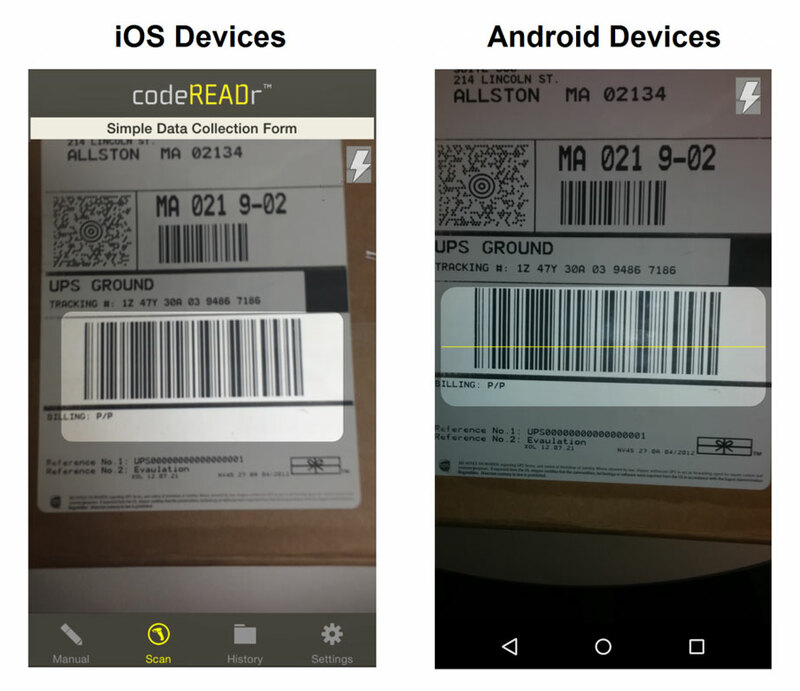 Our decoding engine ignores the barcodes that you don’t want to scan. You can enable this in the app’s settings or on the Advanced tab when editing/creating your Services. After each scan you can prompt the app-user to collect additional information. This includes form entry (text or voice-to-text), multiple choice, photos, drop-down menus and secondary barcode scans. Look here for information on questions. The resulting scan record will include the barcode value, timestamp, location (optional), the app-username and any supplementary data collected. Those scan records can be filtered, and viewed on the Scans page; shared with the CSV Download Link feature; downloaded locally or auto-inserted into third-party databases; posted directly to your servers; or fetched using our API. Check here for more information on scans.